It’s aways a struggle to find the best way to store records. 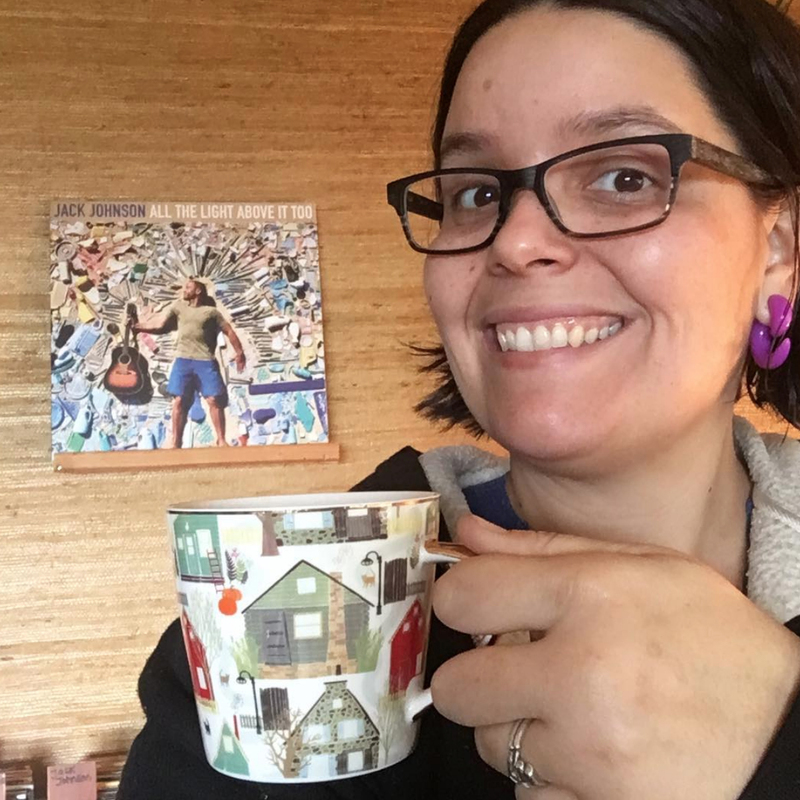 My husband and I love to listen to vinyl each day, we’ve never been a fan for keeping them on shelves since it’s hard to flip through and see what you have and pick something to listen to. I love how easy it is to flip through when you’re at a record shop, so I was excited when we found these wood stackable storage containers at Target. We grabbed some for our daughters toy storage, but also grabbed one extra to store some of our records. We have a lot more, but because we are currently living in an apartment and space is tight, we only have room to store a a few of them next to the record player. 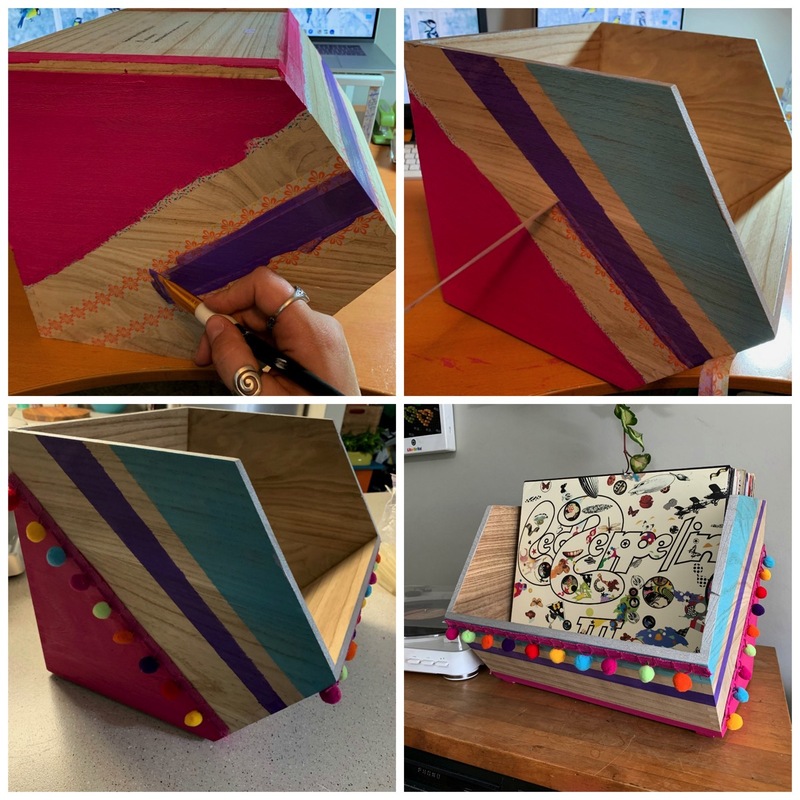 Below are the steps for how I made our colorful, fun and funky record holding box, you could do tons of different color combinations, the sky is the limit. 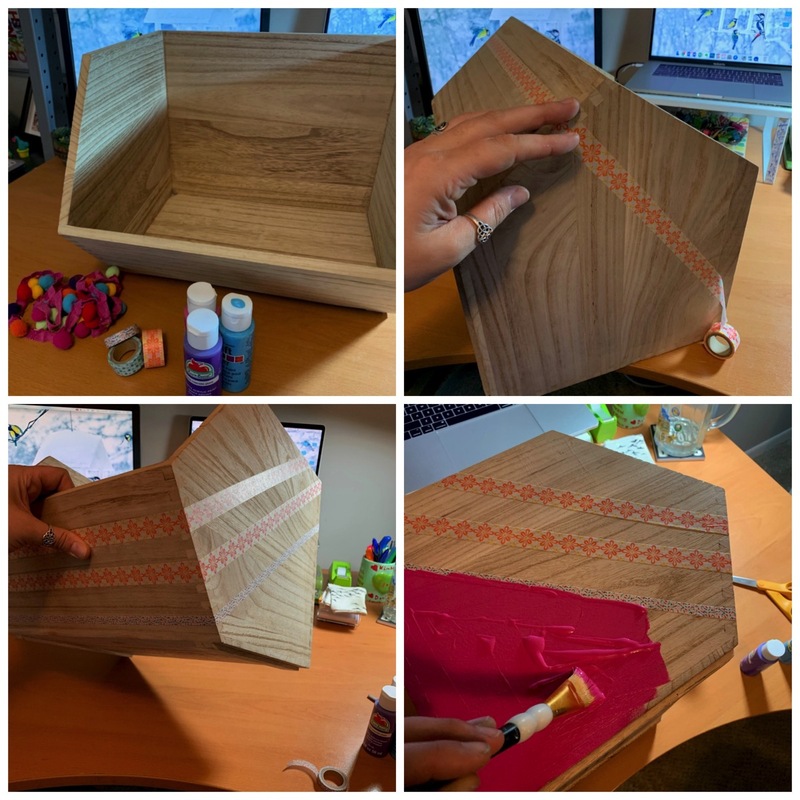 Select the colors you want to paint your box, I wanted to leave some strips of the natural wood, so I used washi tape to section off the areas and then I painted them with the natural exposed wood in between. 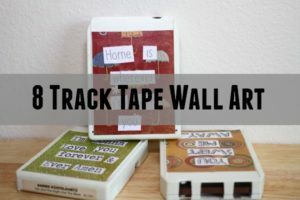 It works best if you take the washi tape and section off the area before you start painting. Once you finish painting the sections and they dry, carefully peel the tape off. 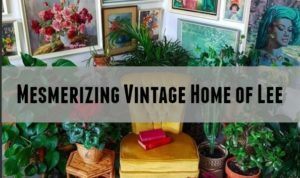 If you want you can add a fun fringe on the edge or pom pom ribbon like I used, it is a nice touch. Lastly I accented the top of the record box with a silver paint to make it pop. 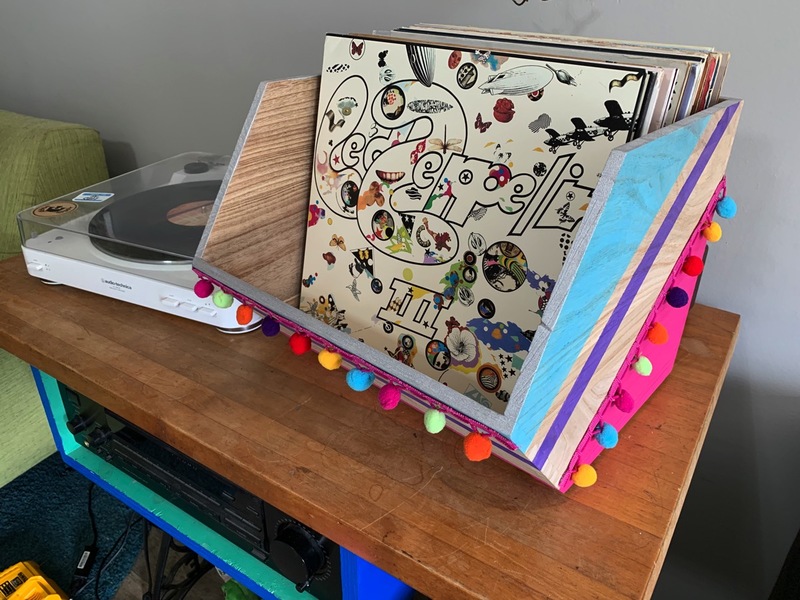 You could paint the inside of the record box, but I liked the natural wood on the inside. 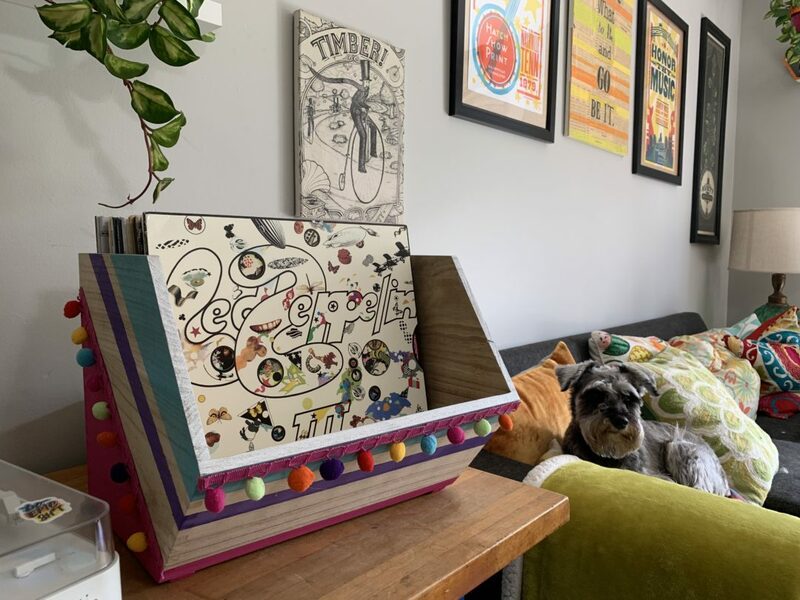 I was super happy with how it turned out, it’s not only functional to hold some of our favorite records, but it adds a fun and funky pop of color in the room which is really nice. 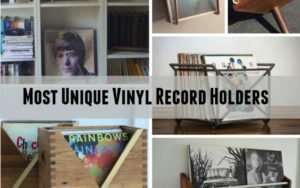 Have fun making your own for your record area!